Looking for a reliable place to buy short or long masonry drill bits? 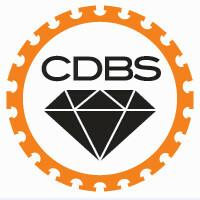 CDBS Construction Centre has everything you need. Our range of tradie tools includes high quality drill bits that are both affordable and reliable. As a trusted name throughout Canberra and Australia, we are known for providing exceptional value for money and unparalleled customer service that ensures your needs are always met – whatever they might be. Our convenient online store saves you the hassle of waiting in line at your local tool shop and spending a fortune paying retail price. Find what you need in our online store today or give us a call on 02 6242 8996 to place an order for a product we don’t have online. When it comes to tradie tools, there is no one-size-fits all solution – which is why we are dedicated to offering a variety of different sizes and prices to make sure you have the perfect option for the job. Whether you’re in need of masonry drill bits for concrete, brick, or a specific size that you can’t seem to find elsewhere, rest assured that we have you covered. Browse our catalogue today to find the drill bits you need and order online for fast delivery to your home or workplace. With so many different types of drill bits on the market, it can be hard to know where to start. This is why we’ve put together a clear and concise guide to enable you make an informed purchase first time. Which Masonry Drill Bit Do You Need? – shape of the propeller and the tip. Generally, drill bits pierce metal, concrete and brick. If you’re looking for drill bits to cut through wood, you’ll need a wood bit. For tiles and glass, your best option is diamond bits or tungsten carbon bits. Using a drill bit for brick on a metal surface will damage your drill. So you need to make sure you have a drill bit that it suited to what your are drilling. Another thing to consider it the quality, of your drill bit. You need to make sure you choose a high quality masonry bit like the SDS bits that we stock. Drill bits are an essential tool for anyone working in construction. So, you’ll need to know how to spot a good quality drill bit which will work with the materials you’ll need to work with. SDS drill bits offer superior quality and design. High quality drill bits also offer other advantages. They protect your drill in circumstances where you accidentally hit reinforcement- like rebar. Energy transfer is also an important consideration when shopping for a drill bit. You’ll want to make sure that the drill bit is enabling you to use your drill to work to the best of its capacity. Figuring out what shape of drill bit you will need is easy. It all depends on the mandrel of the drill and the tail of the drill bit. It is easiest if you have your drill on hand, so you know what you are looking for. Metals all have different densities, hardness and resistance to drilling. The density will determine the design of the drill bit you need. Because a drill bit can pierce through aluminium this doesn’t mean that they will be effective with iron or carbon. Each different composition of a drill bit will be best suited for a certain material. While some bits are more versatile than others, it’s always best to ensure you’re equipped for any job. You may get there eventually with an unsuited drill bit. But you’ll achieve a much cleaner and faster finish with a compatible drill bit. We stock a wide range of masonry drill bit for brick, concrete and metal of all sizes and compositions. Including SDS drill bits, hammer drill bits, and HSS drill bits. If you don’t see the size you need listed on our website, get in touch. The ease with which you can find all your equipment in our comprehensive online shop is what makes us a trusted name throughout the industry. Along with masonry drill bits, we also stock concreting, rendering and bricklaying tools, trowels and industrial vacuum cleaners – to name just a few of our items. No matter what you need, you can shop our range knowing that each and every item meets our high standards for quality and longevity. We maintain low prices without compromising on the quality of the product so you can enjoy the best of both worlds. Order your preferred products online today to see why we’re a premier name amongst the tradie tool industry. And if you need a product but it isn’t listed in our catalogue, simply give us a call on 02 6242 8996 and we’ll order it in just for you!